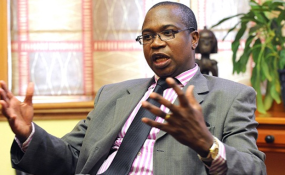 Finance and Economic Development Minister Mthuli Ncube (file photo). Government has through the enactment of the Companies and Business Entities Bill scrapped the indigenous policy, deemed unfavorable to foreign investors who are now able to set up operations without adhering to the 51-49 percent shareholding. Through the new Companies and Business Entities Bill, foreign companies can now issued with a Certificate of Incorporation without surrendering 51% of their shareholding to locals. Commenting on the new Companies Bill, renowned business expert Busisa Moyo said the new policy was a welcome move which effectively kills the previous unattractive Indigenization instrument and enable foreign entities to setup businesses in Zimbabwe with great ease. "But in my humble view, the old Indigenization policy must be removed on the diamond and platinum sector as well. We can fix tax strangers but welcome them to open up businesses, bring technology and skills" added Busisa Moyo. Clause 228 of Chapter III of the New Companies and Business Entities Bill says that every foreign company intending to establish a business in Zimbabwe must lodge with the Minister a copy of its constitutive documents, a list of directors resident or to be resident in Zimbabwe and if it is a subsidiary, the name of its holdings company. However business mogul, Mutumwa Mawere had a different view of the new Companies and Business Entities Bill saying there are several irregularities in the proposed amendment. "A company must be treated as a company. Should an apartheid system be created that provides for the creation of foreign and local companies, this will produce several inequalities where companies with foreign holdings are being given high value over those with local shareholders" said Mawere.